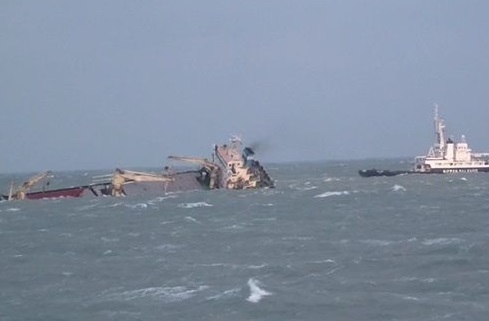 The 54 meter long cargo vessel Shen Zhou 33 capsized and sank in the Taiwan Strait off Chongwu, China. The cargo vessel was headed to Quanzhou from Shantou when it suffered a cargo shift. The Shen Zhou 33 developed a heavy list to port with water ingress. The crew quickly abandoned ship into a life raft as the cargo vessel partially sank. All 6 crew on board escaped and there were no injuries. Authorities arrived on scene and safely took the crew to shore. Reports state the wreck is still being monitored for pollution by authorities.